This will prevent Dani from sending you messages, friend request or from viewing your profile. They will not be notified. Comments on discussion boards from them will be hidden by default. I really struggled to get into this one - it just did not compare to Cline's writing in Ready Player One, which truly was a masterpiece. The writing style in Armada just didn't sit right with me - I often felt like I was bein Actual rating 3.5 stars. The writing style in Armada just didn't sit right with me - I often felt like I was being told something, rather than being transported into the novel to experience it for myself. And the concept, while a good one, didn't feel especially well executed. I almost felt as though the ending would involve waking up and it all being a dream. We’d love your help. Let us know what’s wrong with this preview of Armada by Ernest Cline. We’d love your help. Let us know what’s wrong with this preview of The Kingdom of Copper by S.A. Chakraborty. God, I love Sarah Crossan's writing so much. And Brian Conaghan is a real master of character development. The two combined are just magical. Really loved this book - highly recommended. I just wish we had a little more time with Jess and Nicu. I woul God, I love Sarah Crossan's writing so much. And Brian Conaghan is a real master of character development. The two combined are just magical. Really loved this book - highly recommended. We’d love your help. Let us know what’s wrong with this preview of We Come Apart by Sarah Crossan. We’d love your help. Let us know what’s wrong with this preview of Skyward, Vol. 2 by Joe Henderson. 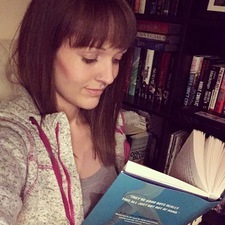 Dani C has read 15 of 50 books. Dani C read 48 books of her goal of 48! Dani C read 45 books of her goal of 40! Dani C read 57 books of her goal of 52! Dani C read 63 books of her goal of 52! Dani C read 54 books of her goal of 52! Dani C read 53 books of her goal of 50! Dani C read 52 books of her goal of 50! Dani C read 56 books of her goal of 50! Take a look at Dani’s Year in Books. The good, the bad, the long, the short—it’s all here.